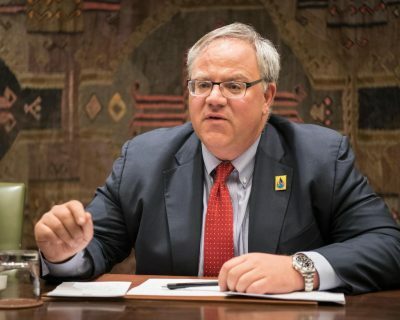 U.S. Sen. Ron Wyden (D-Ore.) today called on the inspector general for the Department of the Interior to investigate Acting Secretary David Bernhardt’s role in blocking a scientific assessment showing the pesticide chlorpyrifos threatens the existence of nearly 1,400 protected species. Bernhardt’s efforts to suppress the studies, which were completed in October 2017 by the U.S. Fish and Wildlife Service, were revealed in a document obtained by the Center for Biological Diversity through the Freedom of Information Act. Those findings were highlighted in a New York Times investigation published this week. The determination by Fish and Wildlife Service scientists that the insecticide jeopardizes 1,399 plants and animals on the endangered species list prompted no action by the Trump administration to curb its use. Instead the administration worked to undercut the findings and delay all further efforts to assess and reduce the impacts of pesticides on endangered species. Wyden’s request comes a day after he questioned Bernhardt about the buried assessments during the acting secretary’s confirmation hearing before the U.S. Senate Committee on Energy and Natural Resources, of which Wyden is a senior member.